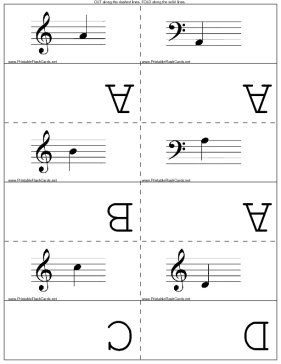 These flash cards will help you learn to read music. This set includes notes on both the treble and bass clefs. Mix them up and practice until you can correctly name the notes at high speed.